SOS Rehydrate is the most advanced electrolyte sports drink powder for active lifestyles, allowing you to get more out of water with the correct amount and balance of electrolytes. SOS is low in calories, without artificial sweeteners, flavours, colours or preservatives and it’s extremely low osmolarity means that your body can absorb it more quickly. Welcome to our rehydrated world! 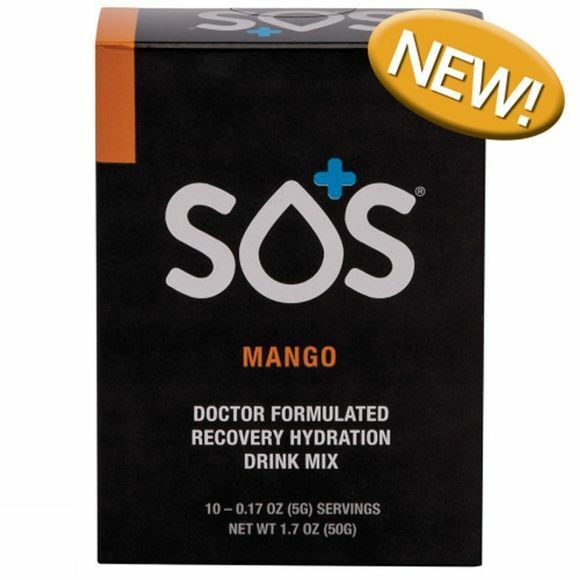 The SOS drink mix is as effective as an IV drip for mild to moderate dehydration in active lifestyles, but it’s safer and cheaper. Contains 27% more electrolytes than coconut water, it has the perfect mix of electrolytes and glucose for optimal hydration. A 2% loss in body weight due to dehydration can reduce athletic performance by 20%, due to a loss of energy and focus. Proper hydration can prevent this, SOS helps you keep performing at your peak. Tastes great and has 75% less carbohydrates than sports drinks as they are often sugary and do not contain the correct amount and balance of electrolytes and glucose. SOS is the perfect mix for optimal hydration.